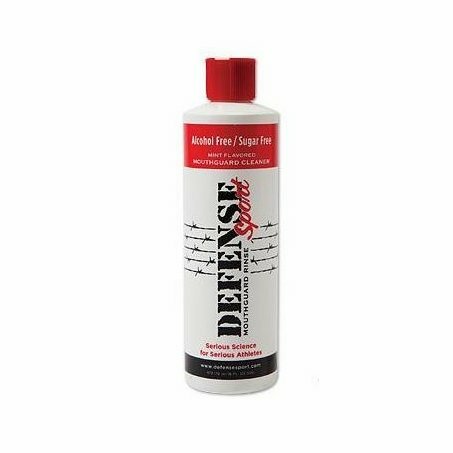 Defense Sport Mouthguard Rinse is quick and easy to use! Simply squirt your guard, shake the excess and your mouthguard is ready to go! This rinse kills odor causing bacteria and is safe for any and all mouthguards. The rinse has a mint flavor that is sugar free and alcohol free. 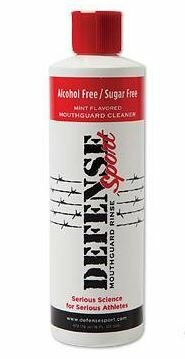 Keep your mouthguard clean with defense sport rinse! Easy to use; squirt, shake and insert. Kills odor causing bacteria and promotes a healthy mouth. Can be used on any mouthguard.